You predict the future. That’s right. Your value lies in thinking ahead long-term on behalf of your clients. You forecast the trends that will impact organizations tomorrow so you can prepare them today. On the eve of our anniversary, AESC celebrates 60 years of propelling businesses into the future with the right talent leading in the right way. When our founders established AESC, they set the standard for a profession that discovers the rare talent capable of launching businesses to new heights; conditions future leaders for high endurance decision making; and activates organizations to accelerate ahead of the competition. As we look to the future, where will we find the talent who can not only navigate a tomorrow we can only just imagine, but who can also build it? How will we deploy future talent to thrive in a climate of rapid technological advancement and massive societal change? How will we activate the disruptors with the vision and courage to create the future of innovation? Join AESC for Create the Future. We’ll anticipate the major drivers of tomorrow’s global business. We’ll develop the foresight to condition your clients for resiliency and help them seize emerging opportunities in their industry. Enjoy breakfast while meeting representatives from AESC partner organizations to learn about services that can help propel your business forward and best serve your clients. Some have argued that Leadership is in crisis, and leaders are failing to meet many of the challenges of these unpredictable times. Trust in leadership has been consequently eroded. In Australia, the Banking Royal Commission highlighted areas of leadership failure, across banks and regulators. What can be learned by leaders and those who advise them? The impact of expectations in corporate social responsibility and social media? And how can these lessons be applied globally? 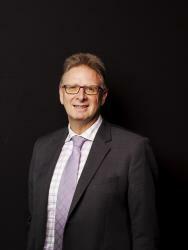 Professor Michael Adams is a specialist in Australian corporate law and international corporate governance. Michael has expertise in financial services regulation, information governance, consumer protection and the broader area of legal technology and education. Professor Adams was Dean of Law at Western Sydney Law School from 2007 to 2017. From 2019 he is the Head of the University of New England Law School. He teaches, writes and presents regularly on these topics, as well as a major media commentator. He has published 12 books, 35+ chapters, 100+ articles and presented at over 250 conferences/seminars in the last 30 years. Professor Adams’ has degrees in accounting/economics and law, his postgraduate studies at University College London; he is a Fellow of the Australian College of Educators; the Governance Institute of Australia [FCIS/FGIA(Life)]; and the Australian Academy of Law. Before UWS, he was Professor of Corporate Law; Perpetual Trustees Australia chair of Financial Services Law and Assistant Director UTS Centre for Corporate Governance. 2001 National President of Chartered Secretaries Australia (now Governance Institute of Australia) and served on the ICSA International Professional Standards Committee. He has been a consultant to the national law firm Ashurst and now, Coleman Grieg Lawyers. He is a Director of the charity, Freedom Hub Ltd and on the Advisory Board of Information Governance ANZ; National Chair of Education Committee, GIA; previously director of the Australian Pro Bono Centre; and the Australian Academy of Law. Former President of the Australasian Law Teachers Association; the Corporate Law Teachers Association and deputy chair of the Australian Council of Law Deans. In 2000 he was the recipient of the Australian University Teacher of the Year in “Law and Legal Studies” and in 2005, recipient of the Institute President’s Award and later made a Life member of both ALTA and Governance Institute. The talent landscape is changing dramatically, and many organisations are struggling to adapt. The workforce mix is becoming more fluid and diverse. Millennials are looking for a career that matters, and they want it fast. Add in the rapid adoption of digitisation and AI and the future global workforce will change completely. So what does the ‘Workforce of the Future’ look like? What are the trends you need to be aware of and how do we demystify AI? From all these disruptive changes come opportunities for organisations to disrupt their business and their people. So how do we do this as we move toward 2025? Alec Bashinsky is currently the Managing Partner , Blackhall & Pearl Talent Services which focuses on HR/Culture Transformation, Future of Work, the Talent Experience and Diversity & Inclusion through the facilitation of advanced AI tools and insights across Asia Pacific. Blackhall & Pearl core business is centred around Board Performance, Risk Management, Enterprise Governance and Artificial Intelligence services and they have been looking to expand their AI services into the broader Talent space. 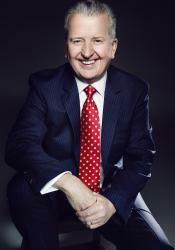 In October, 2011 Alec was again awarded the Best HR Director of the Year in the prestigious Australian HR Awards and award he also won in 2006. In March 2006, Alec was also awarded the “Human Resources Leader of the Year” at the National Human Capital Leadership awards. Alec is a current Board Member for the Diversity Council of Australia, a Board Member of Nvoi and is also a business advisor and sits on the Board for Career Life Money. Are Leaders Being Positioned for Success? Finding talent can be difficult, but making it stick can be even harder. This session will look at whether leaders are being positioned for success. We’ll examine how organizations, and those that advise them, can support the success of newly appointed executives through assessment, onboarding, and ongoing support during the important transition to a new role. Gender Diversity: 30% Achieved, But How Can Growth Be Sustained? AICD figures show just under 30% of directors of ASX 200 companies were women, up from just 20% per cent in 2015. Australia has now surpassed the UK, US, and Canada. What can the region learn from Australia's journey and where to from here? Evolving AESC’s Executive Talent 2020 study from 2016, we once again surveyed clients worldwide on their top talent challenges and how they intend to shape their talent strategies for the future. AESC President and CEO, Karen Greenbaum, will present findings from a survey of senior business leaders worldwide, weaving in insights on organizational transformation from a survey of more than 600 executive search and leadership consultants. How will the executive search and leadership profession advise clients over the next few years and what are the new emerging opportunities? 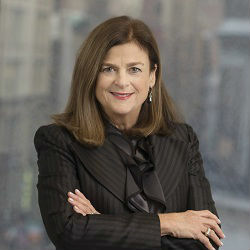 Karen Greenbaum is President and CEO of the Association of Executive Search and Leadership Consultants (AESC), the global association representing the $14b profession worldwide. AESC serves as the voice of excellence for the executive search and leadership consulting profession globally. AESC’s rigorous Code of Professional Practice guides its members, spanning nearly 1,300 offices in 74 countries and beyond, to serve as strategic advisors on behalf of their clients. AESC members are best positioned to provide companies with a competitive advantage—the ability to find, attract and develop the best talent in the world and ensure that executives are successfully integrated. A panel of industry leaders focused on both internal and external challenges facing clients today, panelists will explore methods and strategies that clients are utilizing to ensure success. The structure and function of offices are changing. More flexible use of space is following more flexible use of time and technology, but the future is about more than just the physical space and the technology within it. It encompasses the whole transformation of the workplace, from new management practices to changes in the way employees work with AI and engage with each other. So how is the office changing, and where is it headed in the future? Your business is all about people - those in your own team and those you help your clients attract. In 2019, if you care about people, you have to care about employer branding. From attraction and candidate engagement to empowered, inspired employees, a proactive, strategic approach will drive powerful results for you and your clients. In this interactive, session, Mark will show you how to harness the huge potential of your employer brand... and help your clients do the same. Mark Puncher has spent much of the last 17 years with one foot in marketing and the other in talent attraction and engagement. He has run employer branding or marketing operations in the UK and Australia for recruitment and media organisations including Employment Office, Guardian Jobs, Hobsons and TES Global. 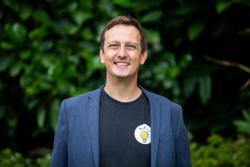 Mark lives and breathes authenic talent marketing and loves helping fantastic, imperfect organisations bring your stories to life to attract and retain your future superstars.